Calling all City Girls fans! 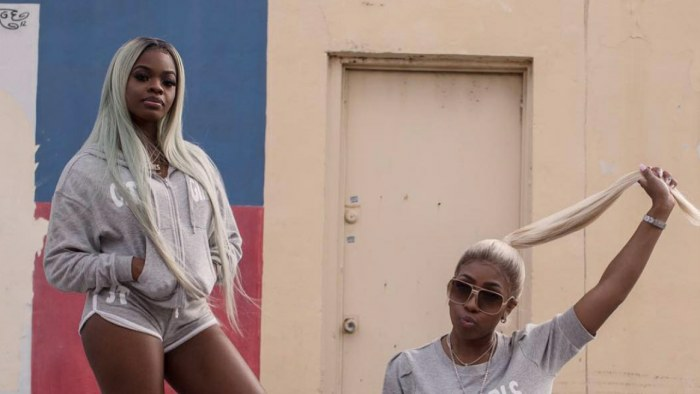 REVOLT TV is airing a special documentary titled City Girls: Point Blank Period on Monday, March 25 at 10:00pm ET that will share the story of the Miami rap duo's rise to fame and their journey to take the music industry for everything it's worth. 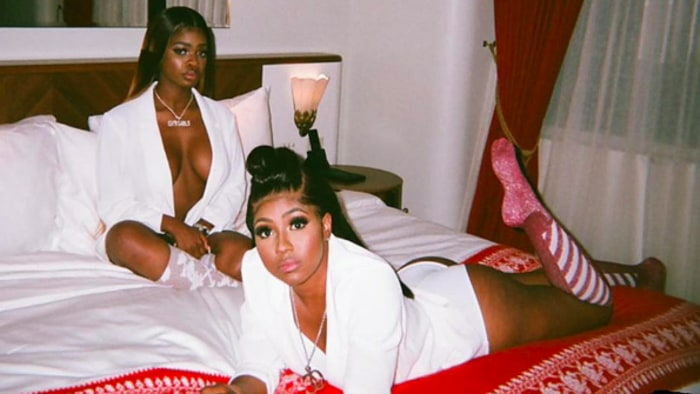 Comprised of Yung Miami (born Caresha Romeka Brownlee) and JT (born Jatavia Shakara Johnson), City Girls caught everyone's attention as soon as they stepped on to the scene because of their abrasive, unapologetic lyrics that detail how they treat men -- and how women should follow suit. Needless to say, fans who heard them talk their talk in their music loved every word in their bars. City Girls says things that many women are afraid to, but do so with such confidence that you can't help but become a supporter. In November 2018, the duo released Girl Code, their debut album. This was the follow-up to their mixtape Period, which was released just a few months prior in May. Though JT previously battled legal issues and is jailed -- for now -- for fraud, Yung Miami has been continuously pushing the City Girls' name into the spotlight. While her friend is down, she's remained on a mission to make sure that everyone knows that the duo isn't going anywhere. JT recently hinted that she'll be released from behind bars sooner than we think on Instagram. In other words, if you thought that City Girls was blowing up before, then you have absolutely no idea what they're about to do once JT is back in action. Get ready, folks. The duo, per usual, will not be playing games. That's why REVOLT TV is so excited about premiering their doc. Produced by Mass Appeal, City Girls: Point Blank Period features cameos from Miami rap vet Trina, Quality Control CEO Pierre "Pee" Thomas and so much more, as they discuss why City Girls got next. Be sure to watch City Girls: Point Blank Period on REVOLT TV on Monday, March 25 at 10:00pm ET. See where you can watch the REVOLT TV channel here.